(first image) Apatani woman from Arunachal Pradesh, India. The archaic practice of marking women with noseplugs was seen as a protective measure from jealous rival tribes. 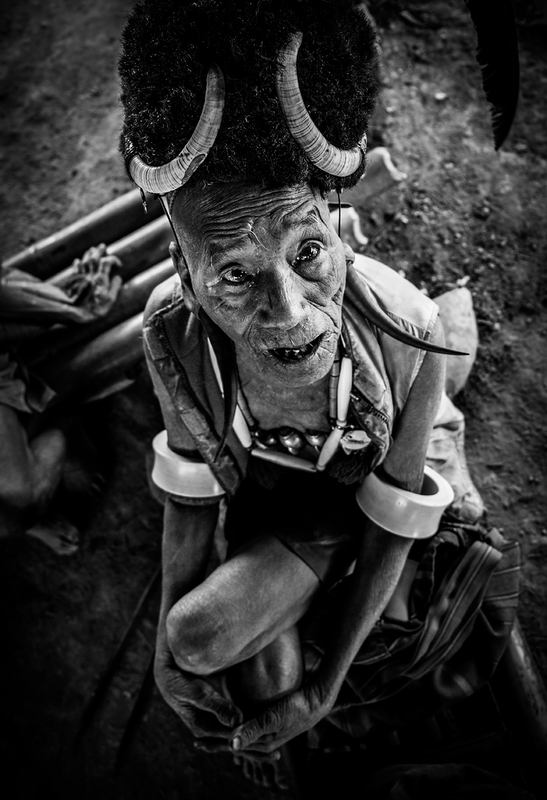 (2nd) Shoe factory worker near Bagan, Myanmar. (3rd) Teahouse employees excited to see a traveller along the route to the Pindaya caves, Myanmar. (4th) One of last surviving "head-hunting" Konyak warriors from the Nagalands, India. Nearly 100 years old, he is adorned with tattoos and jewelry made from ivory and tiger teeth.